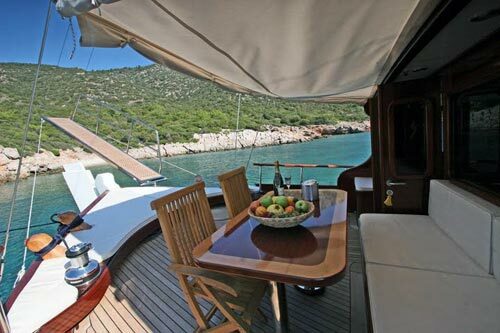 This quaint 16 meter gulet is absolutely perfect for two couples or a family of up to four. 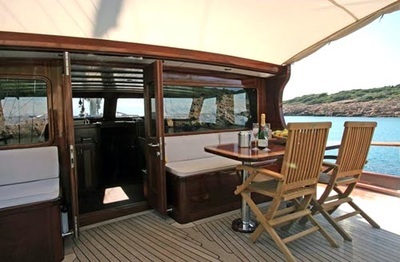 She has two, equally sized double cabins, each with its own private bathroom with electric toilet and home style showers. 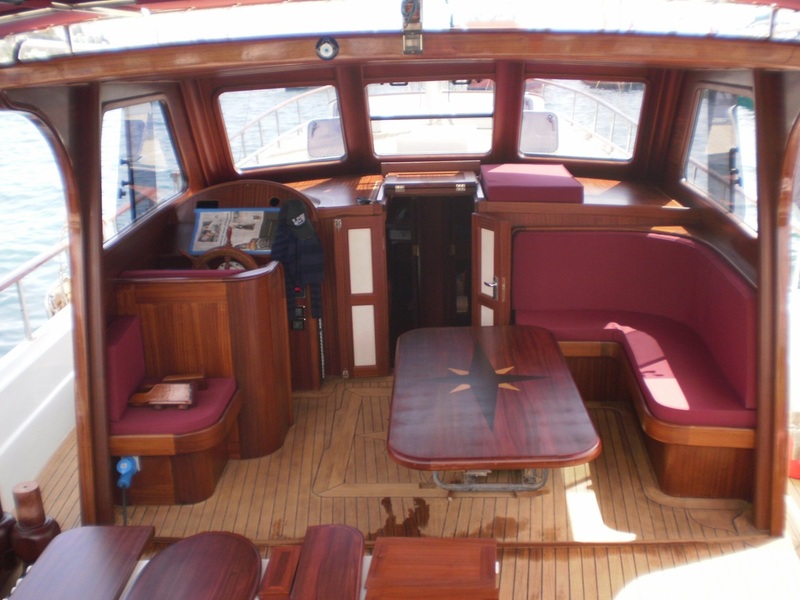 There is also a small indoor saloon and seating area located adjacent to the galley. 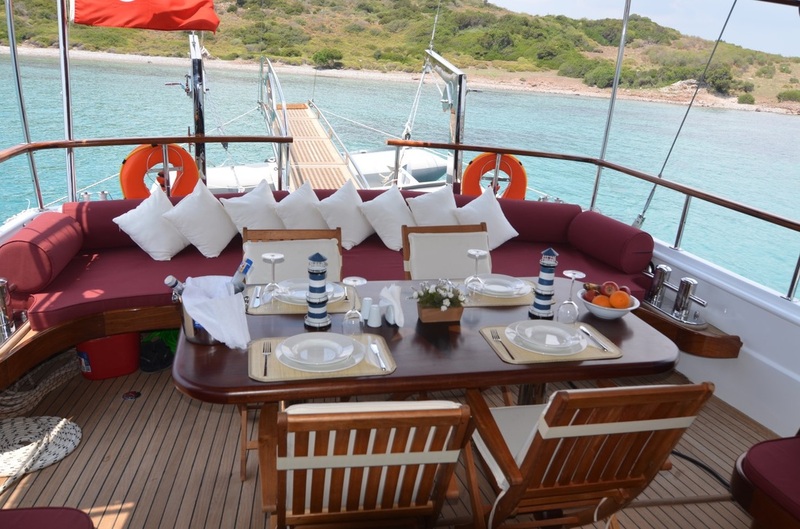 In the aft there is a seating area, shaded dining table and forward there is another seating area. 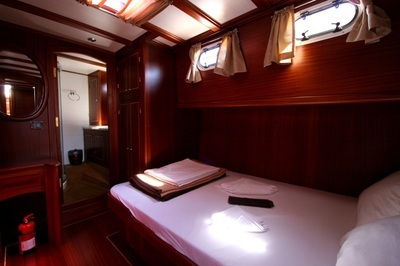 Nazcan comes with a crew of 2, who have their own separate facilities. Charter rates vary from 750-875 Euro per day for up to 4 guests. 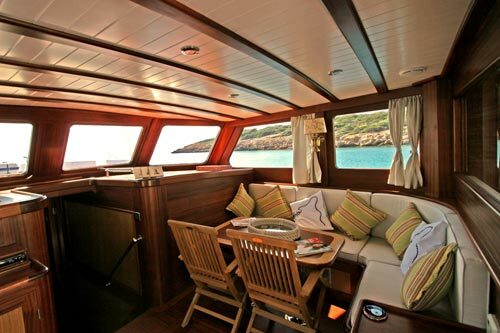 Send me more information on Nazcan. This 19 meter tirhandil is designed on the original Aegean ''double-ender,'' a style of yacht favored by fishermen, sponge divers and traders dating back for centuries. 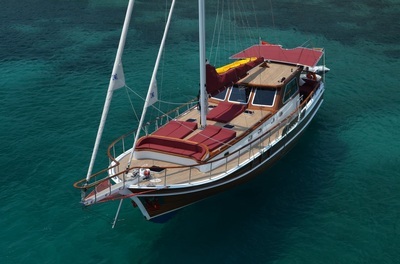 While slightly narrower on her aft end than a traditional gulet, tirhandils offer excellent handling when under sail, and are the sportiest of local gulets. 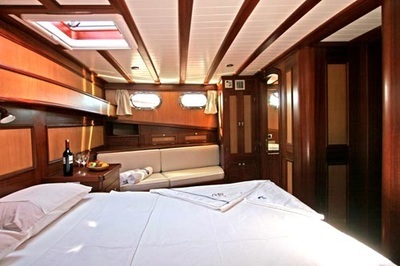 Hayal 62 has two cabins, of which one is a forward master, and the other a portside twin. She is perfect for honeymoon couples or small families for up to 4 persons. 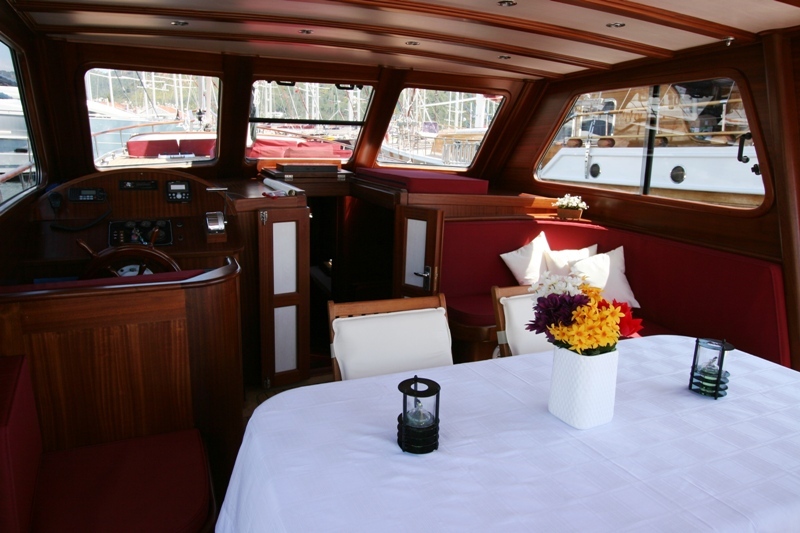 Each cabin has its own ensuite facilities, and Hayal 62 has a discrete, experienced crew of three. Hayal 62 charters for 1200-1400 Euro per day for up to 4 guests. 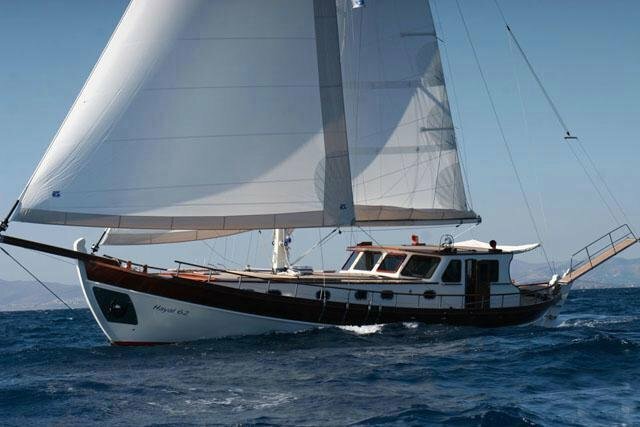 Send me more information on Hayal 62.